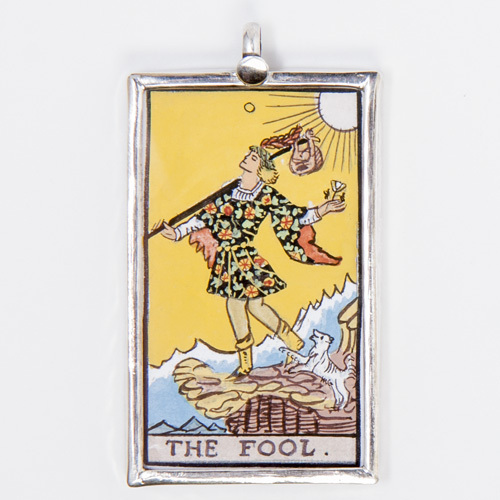 This beautiful pendant of a detail from THE LOVERS Tarot card, is hand-painted and set in sterling silver with a glass cover protecting the painting. It is stamped 92.5 for sterling silver on the back, and measures 3 cm across (approx 1 ¼ inch). 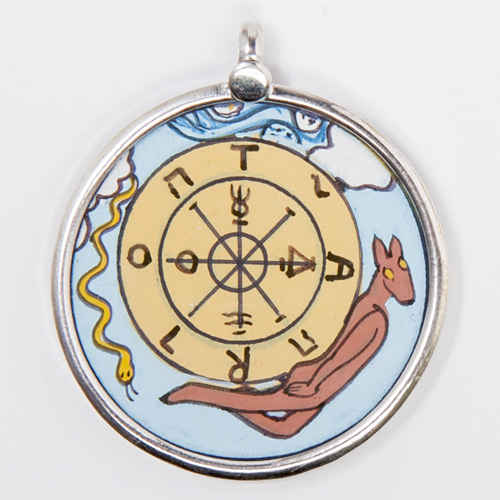 The hand-painted Tarot pendants on this site are EXCLUSIVE to Inner Goddess Tarot. 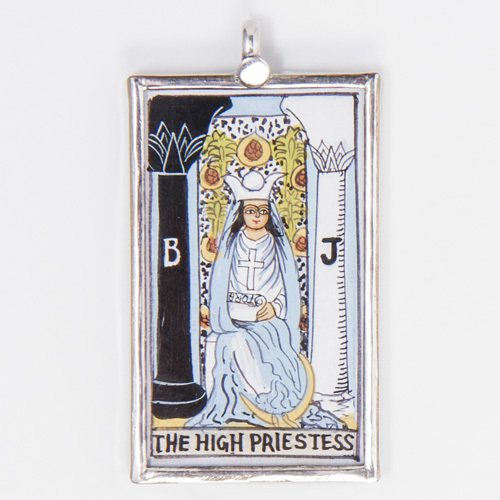 The artists we work with usually create depictions of Hindu deities and other sacred and astrological images, and they create the Tarot jewelry ONLY for Inner Goddess Tarot, in very limited quantities. This item comes via Rishikesh, in the foothills of the Himalayas. In this detail from the Lovers card, we see the archangel Raphael. Raphael means “healing power of God”, and in the scene on the Tarot card we see him blessing and uniting an archetypal pair of lovers, Adam and Eve. 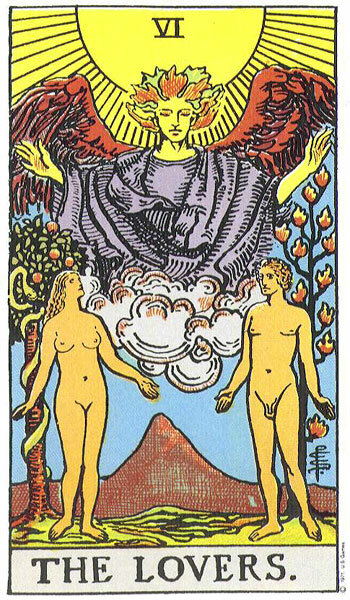 When the Lovers card appears in a Tarot reading, we are reminded of our desire, our need, for LOVE. We must love ourselves, and we also crave to expand beyond that, to find a deep connection with someone else, with our soulmate or true love. 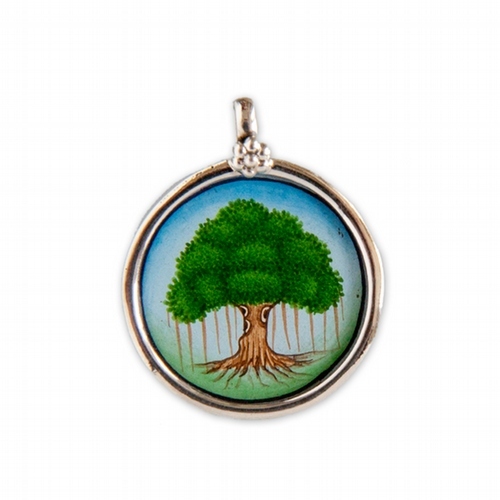 This pendant is the perfect gift to express your deep, sacred love for your romantic partner. 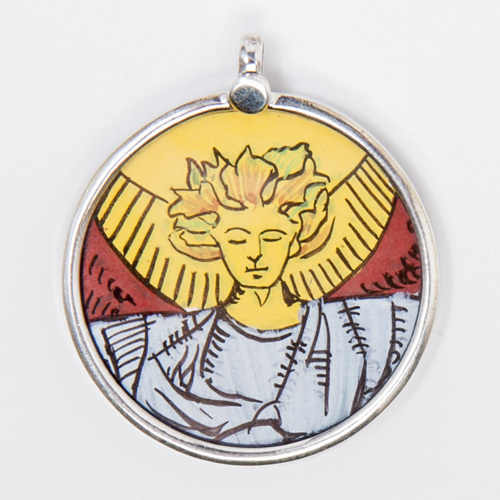 And, if you wear this pendant yourself, you are expressing your quest to love and understand yourself, just as you are, now, today. 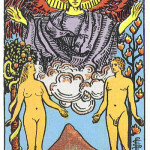 The Lovers card is associated with the astrological sign of Gemini. 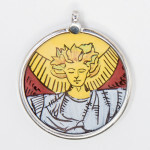 Be the first to review “Lovers Card Detail Hand-painted Pendant” Click here to cancel reply.